The manual states the gun weighs 2.70 lbs. 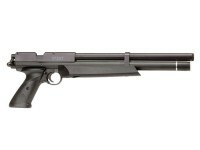 Crosman has verified that the gun weighs 2.96 lbs. Ideally suited for metallic silhouettes, the Crosman 1720T target PCP pistol is bound to help you win more matches. 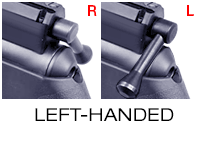 Since the grip is ambidextrous and the bolt can be switched from the right to the left (click on the service noted below to have this done by our tech department), anyone can comfortably shoot it without compromise. Crosman states that they got a 5-shot group at 10 meters measuring .375 inches. If you use 7.9-grain pellets, you'll get 750 fps. If you use a heavier pellet, like a 10.5-grain pellet, you'll get 650 fps. We've linked a pistol scope and some dot sights to this gun under the ACCESSORIES link. However, if you hold the pistol up to your eye when you shoot silhouette, you can choose from rifle scopes and have a much wider selection of optics. Why are 2 transfer ports included? Your gun has one transfer port installed, but there's also a smaller one included. The larger one delivers higher velocities and fewer shots per fill. The smaller one delivers up to 550 fps and up to 70 shots per fill. The lower velocities are for silhouette matches that require lower power to prevent damage to metal targets. This is not something that should be swapped back and forth. You must have a Crosman repair station make the swap. Crosman recommends sticking with either the large or small transfer port and not repeatedly swap between the two. Things I liked: The barrel is decent, I was expecting a less pellet picky gun but it's possible my expectations were a bit high. I have a gun that will only shoot 3 pellets very well (Beeman Kodiak Match, Baracuda Green, Baracuda Hunter Extreme) and maybe if I changed the fps, some of the lighter pellets would perform well. The psi gauge is accurate. The gun is quite but not silent, air from the muzzle still creates an audible crack. The trigger is decent but worse than a Wiehrauch, I'm not a fan of the aggressive C curve on the trigger blade. The gun is very lightweight so once I mount my scope + nightvision equipment the weight is still manageable. Things I would have changed: The trigger overtravel screw needs to be reworked or they need to offer different size screws so they don't stick out. I'm either going to have to turn the screw down on a lathe or find a shorter option because right now, it cuts into my finger. The beavertail area is rather uncomfortable when using the crossman shoulder stock, either the shoulder stock grip needs to be modified to cover the square edges of the beavertail area or the beavertail area needs to be reworked. The breech is not level with pellet tray so the pellet will get hung up before entering the barrel chamber, I fixed it with some shims under the loading tray but that's an absurd manufacturing issue to have when .100 tolerances are easy to come by. I also wish crosman would include the degassing tool with the price of the gun, instead you have to pay $20 more for a $2 part. The finish on my bolt handle is just a spotty mess. I wish the breech block had a rotary mag option. 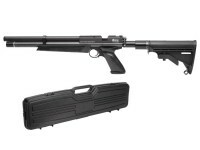 What others should know: Overall I enjoy this airgun and there are few out there that offer similar features. The cause of the problems I had with this gun might be due to the lack of competition in this category of airgun, you get some designs or parts that are "good enough" because no other company is out there to show you otherwise. Things I liked: Like the look and the balance and the trigger works well without further adjustment. Things I would have changed: The trigger stop screw could be shorter or have sharp edges rounded. Scope dovetail could be a little longer on barrel. What others should know: Gun comes with large orifice installed could have choice when ordering of small or large orifice. I am considering buying a tank and having a service fill it for me when the air gets low. What air pressure is required for the gun. What kind of tank would you recommend? Material, Size, Pressure Rating. 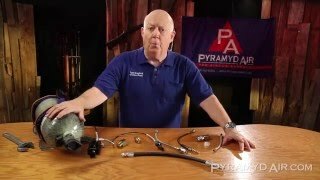 Is there a charge for the service to change the transfer port and if yes, How much? will this work for pistol field target? If so, what is a good scope for this type competition?